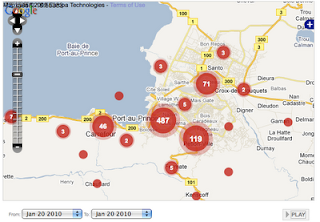 Here are some resources for reporting a Haiti Earthquake incident for individuals in Haiti. The Ushahidi website is a first class website for this type of information gathering and reporting. The site was done in partnership with the U.S. State Department. New Yelp 4.0 iPhone App Rocks! Many new features! Yelp 4.0 Profiles -- You can now view member profiles and their photos. Yelp 4.0 Check-In -- A new Check-In feature allows you to notify your friends or other members of the Yelp community the restaurant, bar or store you are at. You can also elect to receive Push Notifications (default setting is on) where your friends are at. Yelp 4.0 New Main Menu -- There is a new Yelp 4.0 menu menu with the menu items: Nearby, About Me, Bookmarks, Feed, Check In, Friends, Talk, Recents and Settings. Yelp 4.0 About Me - You can now edit your profile and view your Yelp statistics including: Elite status, number of friends, quick tips, bookmarks, check-ins, friends, quick tips, local photos, reviews, compliments. Yelp 4.0 Find Friends - There is a Find Friends feature that will search through your iPhone contacts. What's still missing? The Yelp 4.0 App still allows you to Draft a Review only. This is most likely an anti-spam or security issue. That said, you can always log-in through the iPhone Safari browser and submit your review.